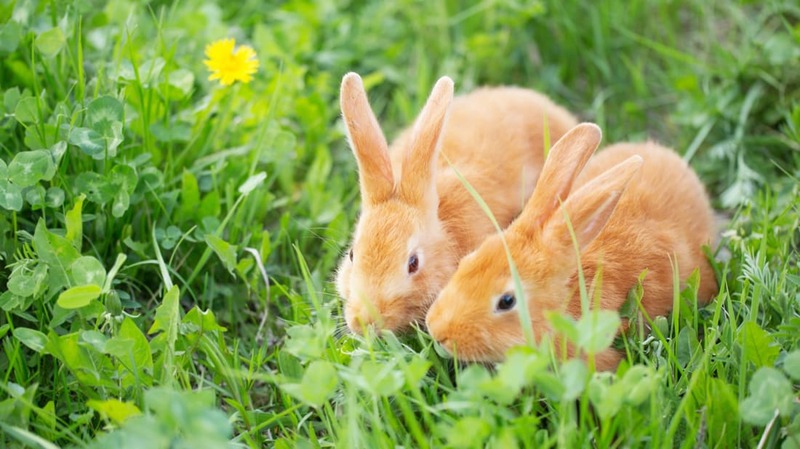 Though you may not know what a rabbit’s nest looks like, there could be one hiding in your lawn. And it probably looks like something you should mow over. According to a video from Ontario Wildlife Removal (and posted by CBC), a rabbit’s nest often just looks like a dead patch of grass. If you lift up the top layer, though, you’ll find a bunch of teeny-tiny baby bunnies inside. (The Ontario Wildlife Removal's expert, Jared Houliston, picks up one of the bunnies for the camera, but you should probably just let them be.) The mother rabbit only returns to the nest twice a day, so don’t be alarmed if you don’t see an adult around—they probably haven’t been abandoned. The babies will only stay in the nest for a few weeks, so your lawn will be back to normal before you know it. Until then, look out for some adorable bunnies.